SAF-T Auto Centers of Wallingford, CT is your local dealership alternative for oil change and maintenance service. With years of experience in the auto industry, we know customer satisfaction, reliable repairs, and trustworthy estimates are important. Locally owned and operated we provide small town service with personalized customer car care that not only helps our customer’s wallet but also keeps their car out of the shop. We take pride in our shop as well as, the repairs and maintenance services we provide and it shows though our loyal customer base and online reviews. During every oil change, a certified technician will conduct a safety inspection. This inspection includes a visual inspection of your tires, brake pads, and other vital safety components. We will then let you know of any upcoming brake services, wheel alignment, or other maintenance you may need in the near future. Staying ahead of costly auto repairs and avoiding unexpected breakdowns is our specialty. Having your oil and filter changed regularly is the first step to maintaining performance and dependability. Call (203) 294-1555 or stop by our convenient Wallingford location at 121 N Plains Industrial Rd. Why is Regular Maintenance so Important? Whether you are driving a vintage vehicle, truck, sedan, or racecar it won’t run without oil. 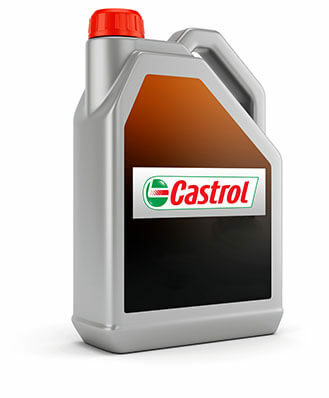 Oil allows the internal parts of your engine to work together smoothly and without friction. However, that isn’t its only role, it also reduces heat and suspends dirt, carbon and other particles that make their way into your engine. Additionally, synthetics with additives such as detergents, rust inhibitors, and dispersants are becoming more popular due to the ability to increase efficiency and lifespan beyond what tradition oil can do. Without regular service, an engine will lose performance and fuel efficiency will decrease over time. Neglecting regular maintenance regularly can cause an engine to physically lock up and require rebuilding or worst case the engine will need replacement. Don’t let something so simple yet important reduce your vehicle’s performance and value. Schedule oil change service today! Timely maintenance and oil change service are crucial to prolonging the life of a vehicle. We help our customers protect performance, fuel efficiency, and dependability with timely maintenance and care. Additionally, we are open Monday through Friday 8:00 am to 5:30 p.m. Call (203) 294-1555 or stop by anytime for complete auto maintenance and oil change service that is close to home. We work on all makes and models, both foreign and domestic. Conventional, high-mileage, and synthetic oil change service is available. Walk-in and same day service are available daily. Call or schedule your next service appointment online today for complete car care you can trust.